Orkney, Scotland. Days 26, 24th July. The two young couples thought they were making good time when their car shuddered to a halt as they were passing the village. They went to seek assistance at a nearby house and the front door was open so they went in. There was hardly any furniture and the rooms seemed to belong to a bygone age. Then they heard the front door closing and locking behind them. It was getting darker. The strange noises were getting closer…. No, hold on, it’s not Evil Village and we’re not in a Hammer horror movie from the 70s. 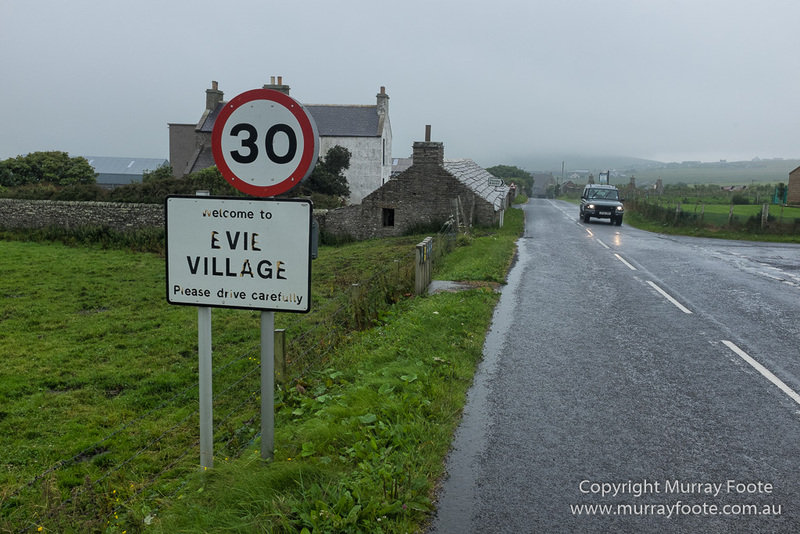 It’s Evie village in a rustic corner of Orkney where the locals are likely to be friendly and bad things are unlikely to happen to strangers. The next three images are in Evie Village. My accommodation wasn’t far away but I wasn’t staying here. Probably quite cheap budget accommodation though, with light and airy rooms. 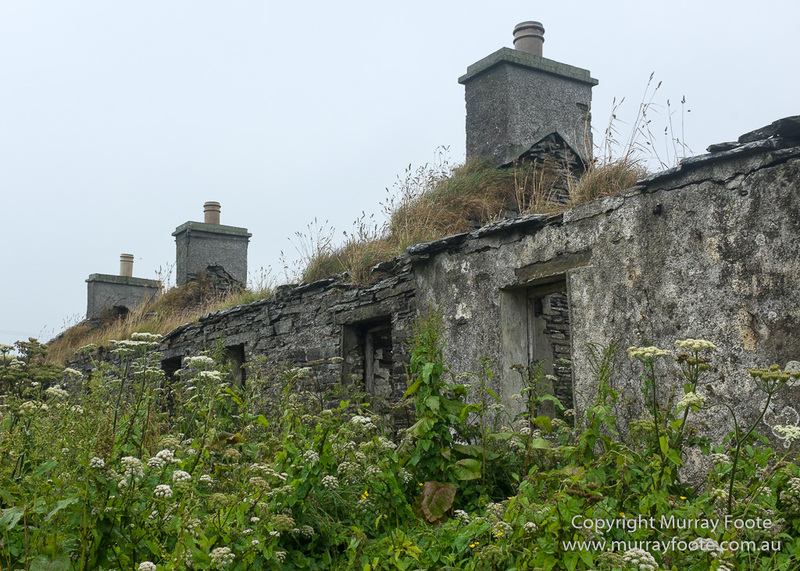 Here’s another potentially fetching place to stay, still with the original slate roof. Very conveniently right on the main road. Maybe I should be starting a real estate blog. 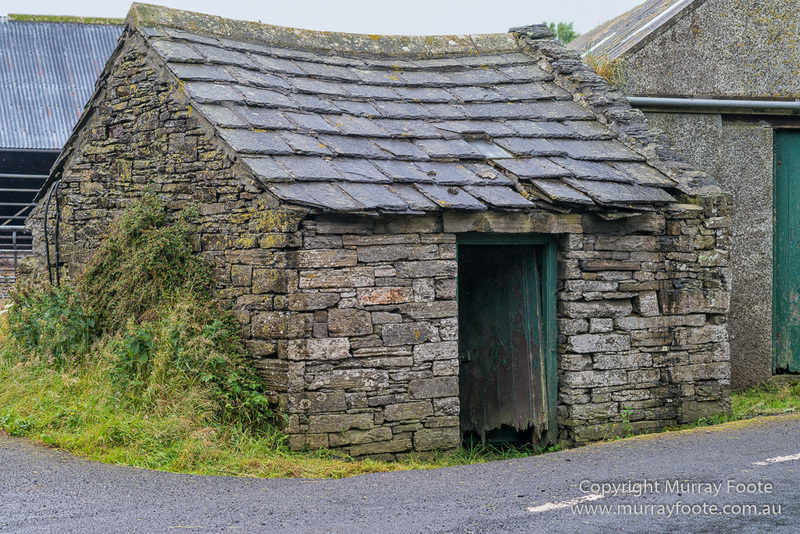 A group of farm buildings beside the road, some maybe hundreds of years old, including the shed above. 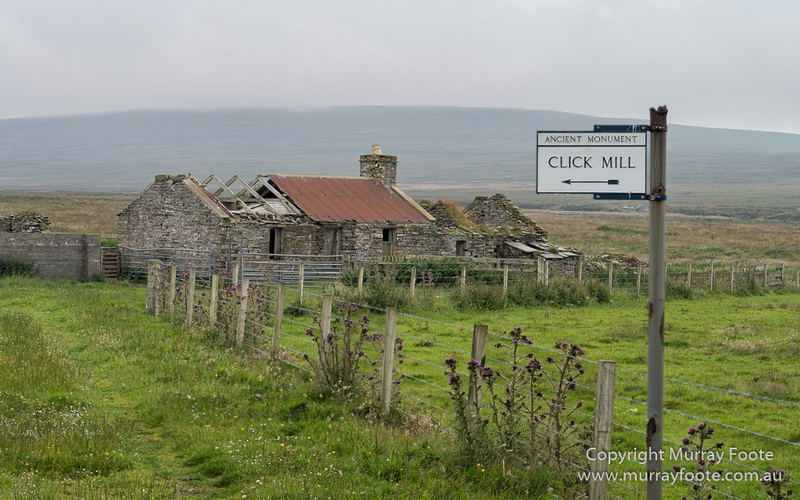 A few miles away, here is the signpost to the click mill, with a picturesque ruined farmhouse behind it. 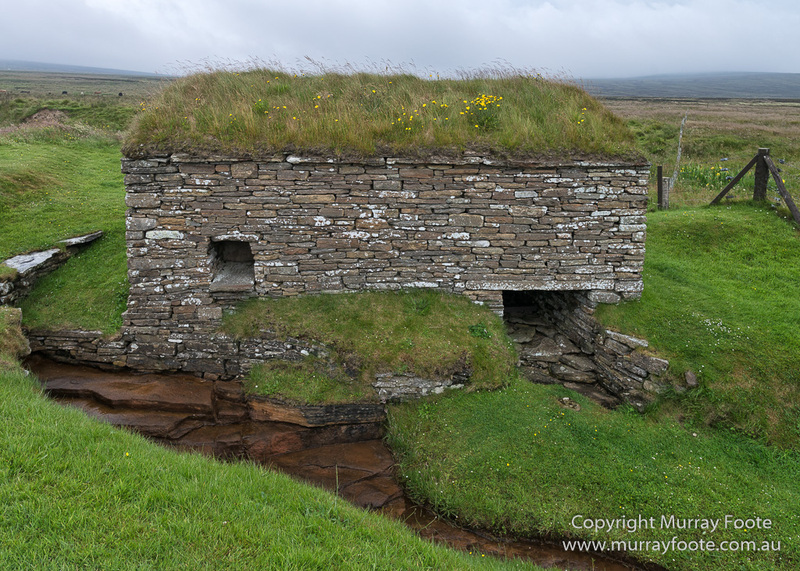 In Orkney and in Northern Scotland generally, ruins like this are fairly common. This is the click mill. It is a horizontal click mill, so called because the blades the water turns to drive the grinding are horizontal. It probably dates from the early nineteenth century and was renovated in 1932. The flour it produced would only have supported a couple of families at most. The door is the opening at the left. Water from the stream the mill sits beside was diverted behind it and came out through the chamber at the right. 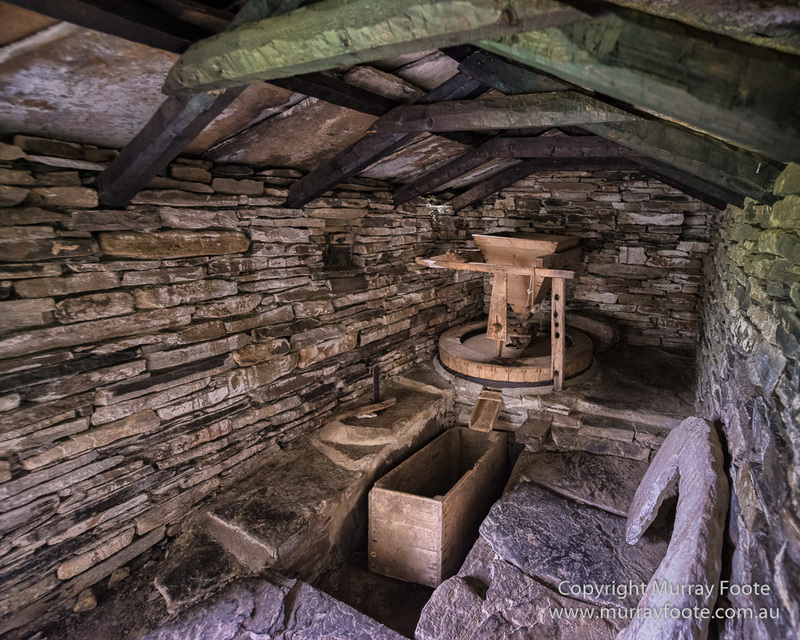 Inside the mill, here is the grinding mechanism and in front of it a large wooden box to collect the ground flour. Underneath the grinding mechanism, this is where the water comes through to turn the horizontal blades and grind the grain. 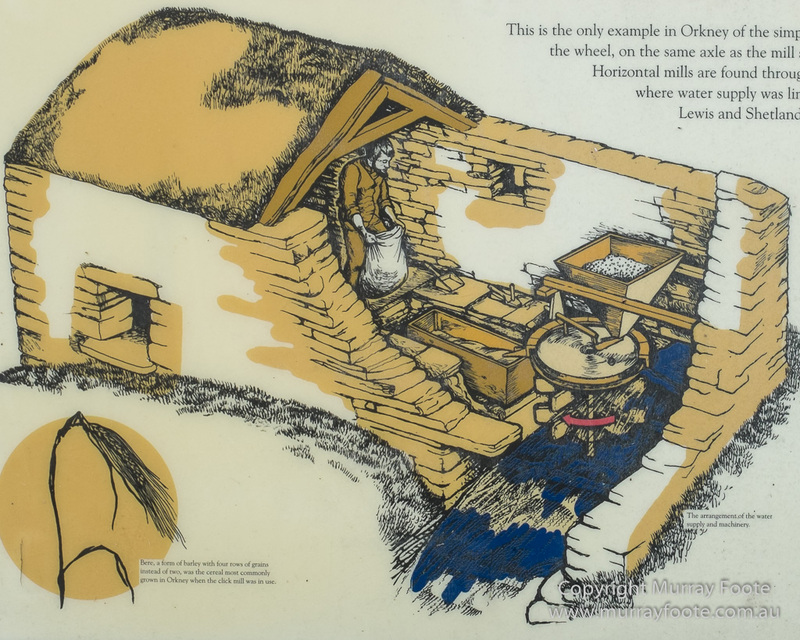 The cereal most commonly used in this click mill would have been bere, a type of barley with four rows of grains instead of the usual two. The term “click mill” comes from the projecting peg where the grain comes down from the feeder, that clicks away a little at a time to feed a small continuous amount of grain into the central hole of the grinding disk. 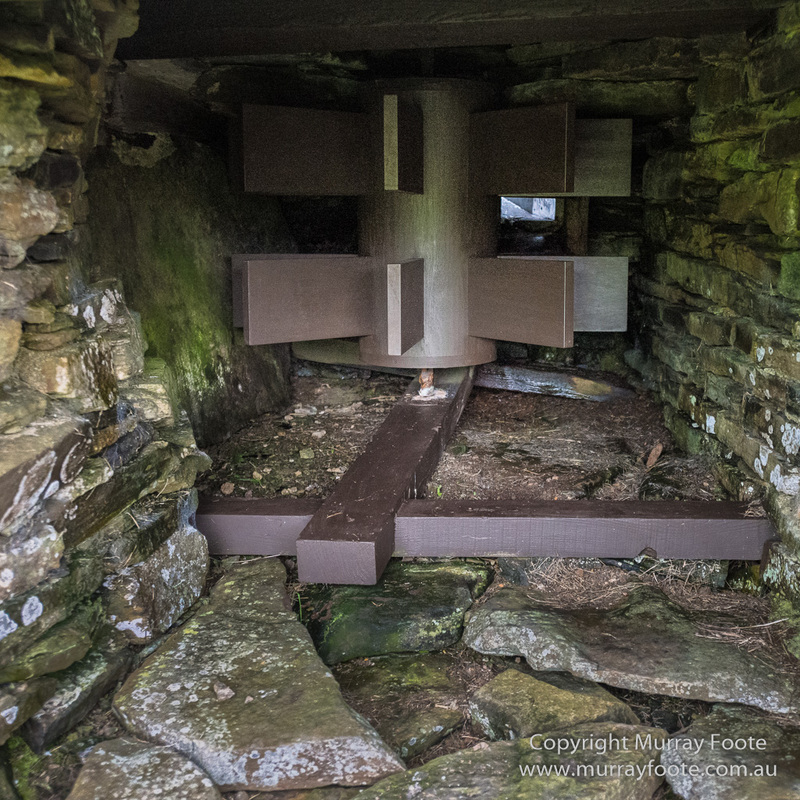 This entry was posted in Orkney, Scotland and tagged Archaeology, Architecture, Dounby Click Mill, Evie village, Evil village, History, Landscape, Orkney, Photography, Scotland, Travel. I liked the real estate theme! I hope your eventual accommodations were somewhat more comfortable than the buildings shown, although the white building in the first photo might be suitable. Thanks very much! I had great accommodation not far away, comfortable, very friendly & sociable and great food.